J. Autherine’s inaugural collection of poems and inspiration is a love offering to strong, vulnerable, badass women who lead with their hearts, love deeply and sometimes fall hard. 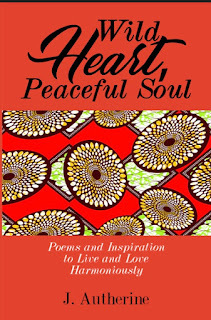 Wild Heart, Peaceful Soul is a deep, gritty, raw look at the thrill of loving unconditionally, as well as the mental and physical toll that it takes when peace and harmony are lost in the process. The author captures the pain and struggle of women who love deeply and pour into others without first filling their own jars.